MARS • View topic - 48 x 24x12 frag tank with racks. 48 x 24x12 frag tank with racks. 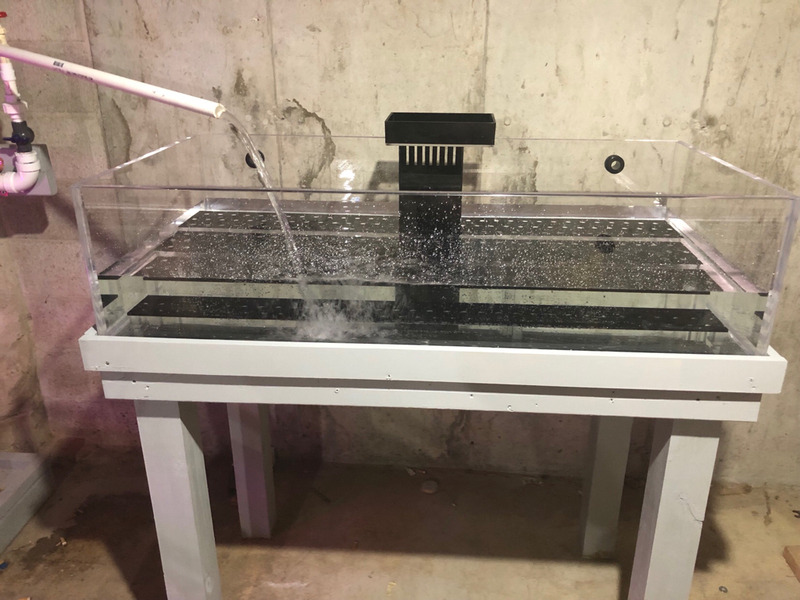 New acrylic 48x24x12 acrylic frag tank with overflow on back center. 3 levels of racks included. I have the lifetime warranty from the manufacturer. Also 6x12 viewing box. Paid over $900 I have water in it but that’s it. Never used. Short on money must move. $500. Can email pictures. Re: 48 x 24x12 frag tank with racks. Thank you for posting a picture for me! I have never figured out how to do it from my phone. Just so everyone is aware the tank does have drilled returns. I was just filling it for leak check. It is hooked up in my system running but it never has had coral in it. There are no schratchs in the acrylic.